Didn't this guy just file for bankruptcy? Anyone with a footwear obsession knows that making proper room when packing sneakers for a trip can be difficult. Apparently 50 Cent is well aware of those sorts of struggles. He's able to avoid any sort of compromise in his rotation though – this weekend, for example, he apparently requested a separate dressing room just for his shoes for a gig at The 02 in London. 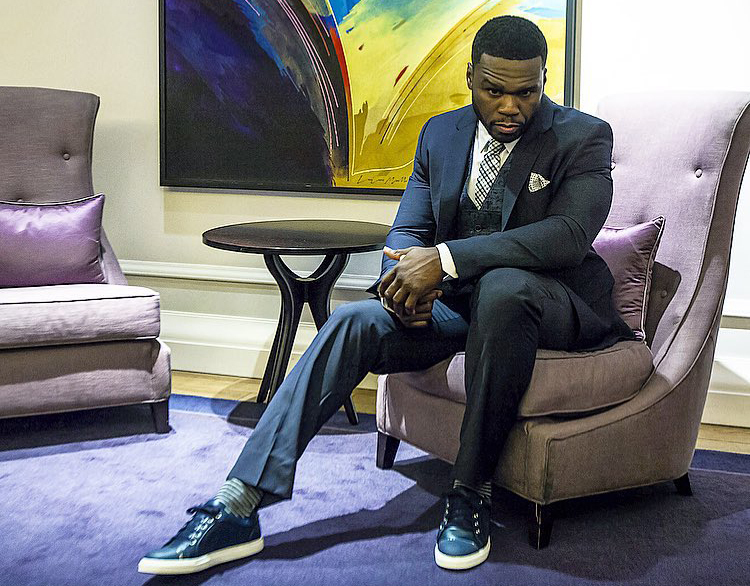 "Fiddy is obsessed with his trainers and always wears a fresh pair," a source told newspaper Metro. "When he's on tour he brings so many pairs with him to choose from for the show, he requests an extra dressing room just for his sneakers." Good to know Curtis hasn't let his newfound bankruptcy get in the way of his sneaker collecting.